Ms. Nelson has been working with children with disabilities for over 35 years as a teacher for the visually impaired in Richland and Lexington Counties. 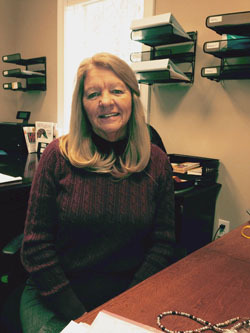 For the past 25 years she has also worked part time as an Early Interventionist. Ms Nelson’s undergraduate degree in Early Childhood and Elementary Education and her master’s degree in Visual Impairments are all from the University of South Carolina. Ms Nelson has served as a volunteer with SC Special Olympics for over 20 years, serving as Lexington County and Area 7 Director. She is a long-time member and leader of the SC Chapter of AER, the Association for Education and Rehabilitation of the Blind and Visually Impaired.